Brandon Stone tees off this week in Turkey chasing a big result in his bid to move into the top 10 in the Race to Dubai as the final series gets under way, writes WADE PRETORIUS. Thursday’s Turkish Airlines Open is the start of the three-event long final series with the top 10 on the money-list guaranteed a healthy bonus for their work over the past 12 months. Stone, currently 18th, is the top-ranked Saffa with European Tour rookie Erik van Rooyen (34th) next best of the eight South Africans on duty this week at Regnum Carya Golf and Spa Resort in Antalya. The dramatic win at the Scottish Open vaulted Stone up the rankings and a strong showing in this Rolex Series event will go a long way to helping his cause with just three of the top 10 in the Race to Dubai signing up. Stone will be wary of looking too far ahead with only two of the top 10 in the Race to Dubai currently penned in for next week’s Nedbank Golf Challenge. Two good weeks and it could be a very, merry end to the year for the world number 108. 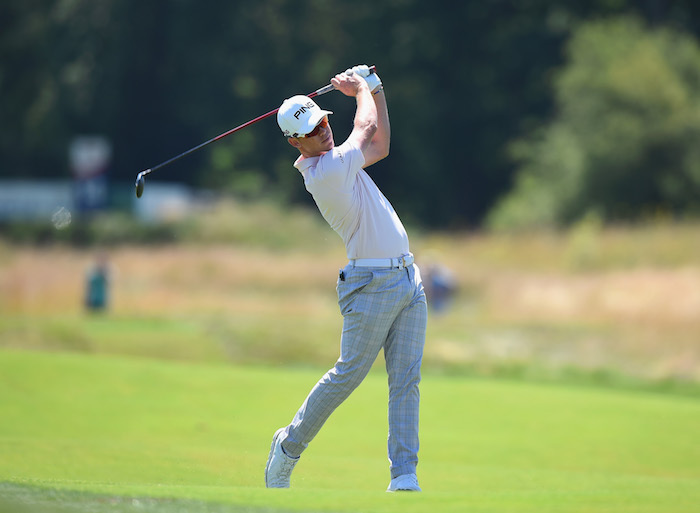 Former Masters champion Danny Willett and American rising star Julian Suri join the young South African for rounds one and two in Thursday’s 11:15 tee time off the first tee. Van Rooyen, who has racked up over a million euros in his first full season as a European Tour member, is the first South African underway when he joins English duo Aaron Rai and Chris Paisley on the 10th at 10:20; the latter famously broke local hearts in January after holding off 2017 Nedbank Golf Challenge champion Branden Grace in the final round of the SA Open at Glendower. The biggest following will no doubt be around the 12:05 tee time where defending champion Justin Rose joins reigning Race to Dubai winner, Tommy Fleetwood, and fellow Ryder Cup squad member, Thorbjorn Olesen. Fleetwood, who has put his hand up for Sun City next week unlike Johannesburg-born Rose, has a major opportunity to move from second into first on the moneylist with Francesco Molinari, his 4-0 teammate from Le Golf National, not in attendance before the finale in Dubai.